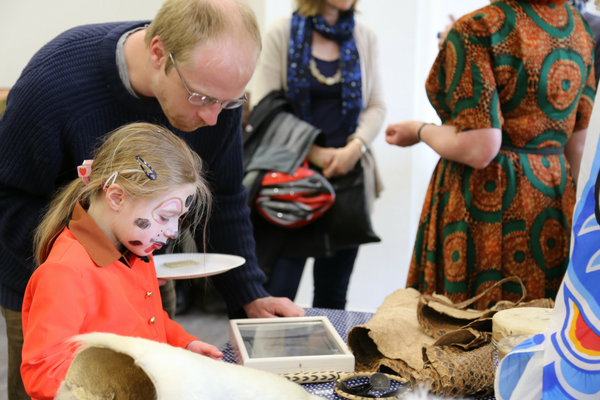 The Oxford University Museums are Arts Award Supporters and are a registered Arts Award Centre for moderation. 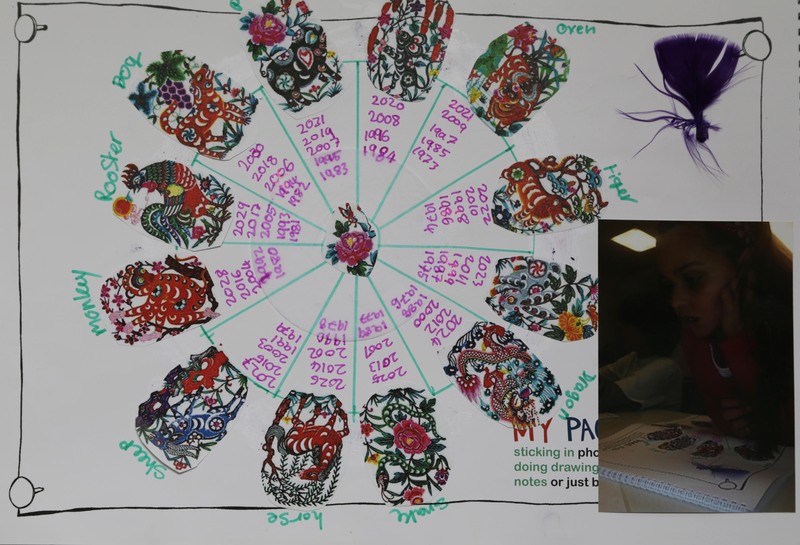 We have delivered Arts Award to individual young people and groups of young people in a range of different setting at Discover, Explore, Bronze and Silver levels (see case studies on the right). 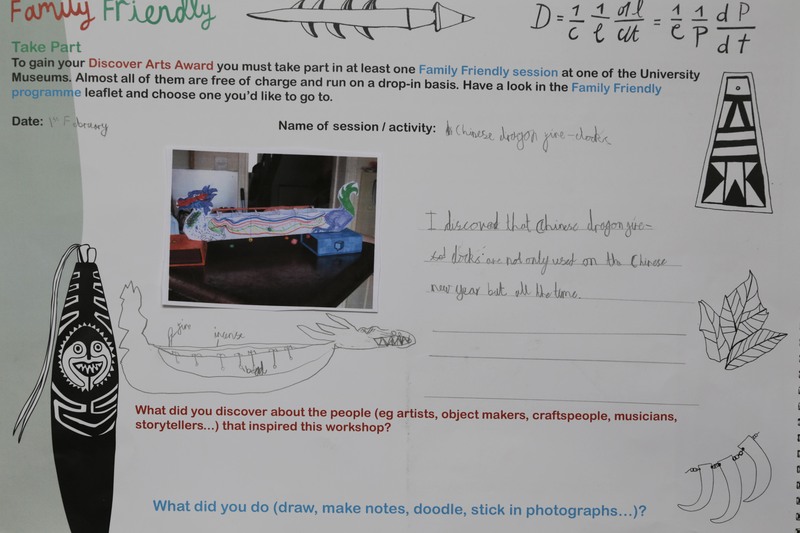 We also offer a Family Arts Award at Discover Level for children aged between 5 and 11 years (see below). For more information on Arts Award, please visit the Arts Award website. Find the logbook in the online shop! 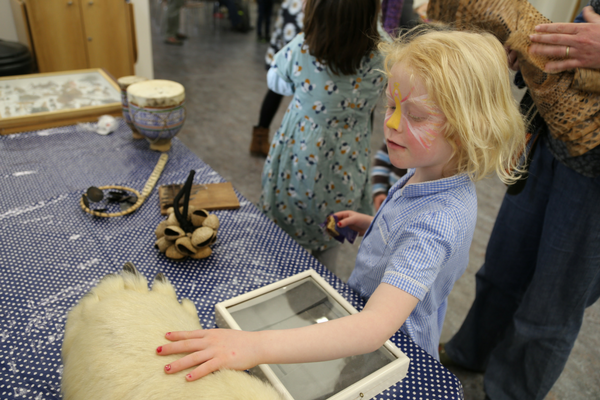 Oxford University Museums are delighted to offer Discover Arts Award for children and families who are visitors to the museums. 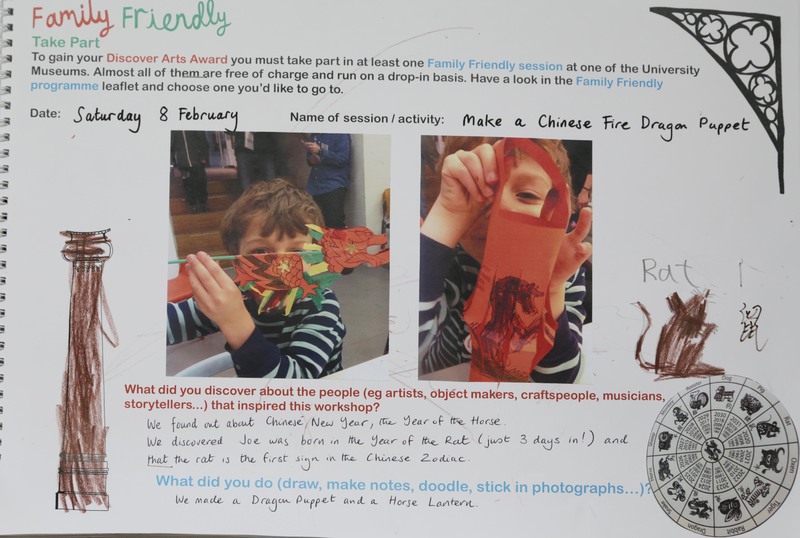 Discover Arts Award is a fantastic way to explore different art forms, participate in creative activities, find out about artists and their work and share what you have done with others. 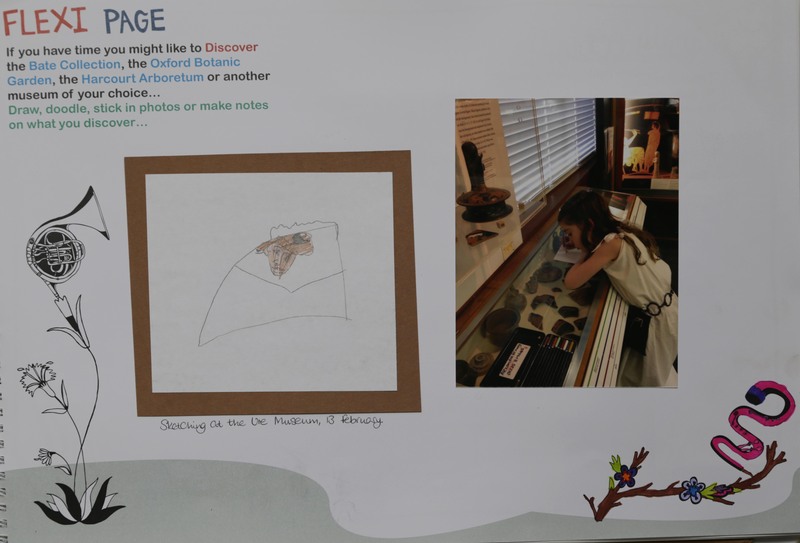 To complete your Discover Arts Award, you will need to purchase a copy of the Discover the Oxford University Museums and Collections logbook (one copy per child). 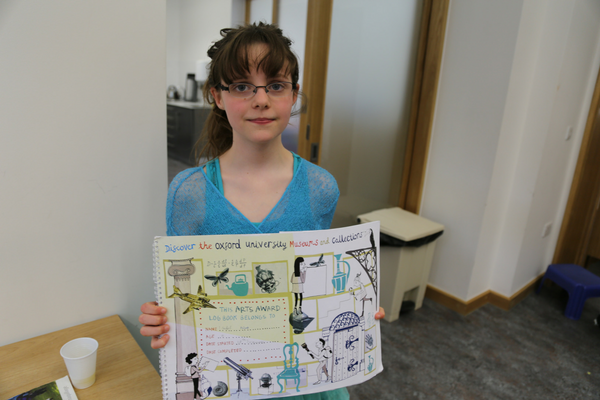 The logbook is a beautifully designed A3 book with inspiring and original activities to complete in each museum. It also has plenty of extra pages for you to be creative and explore ideas. 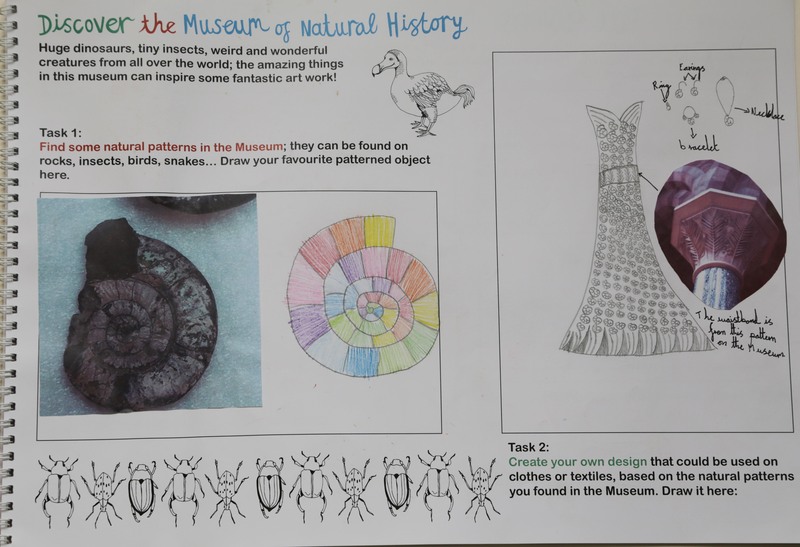 Once you have completed each section of your logbook then hand it in and Museum Education staff will look through it and apply for your Discover Arts Award Certificate. Once your certificate is ready, you will be able to collect your logbook together with your certificate. Arts Award is a nationally recognised qualification that inspires young people between the ages of 5 and 25 to develop their arts skills. 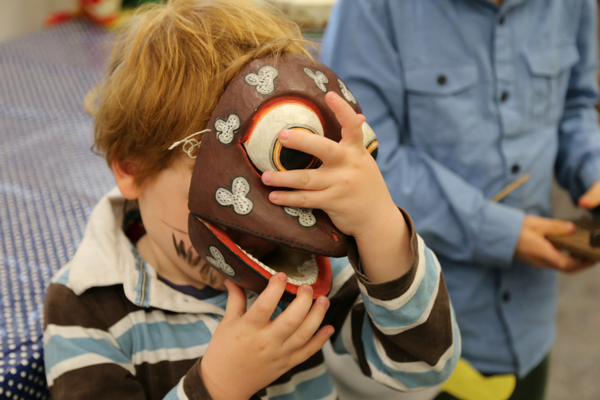 Discover Arts Award is an introductory award for ages 5 upwards. 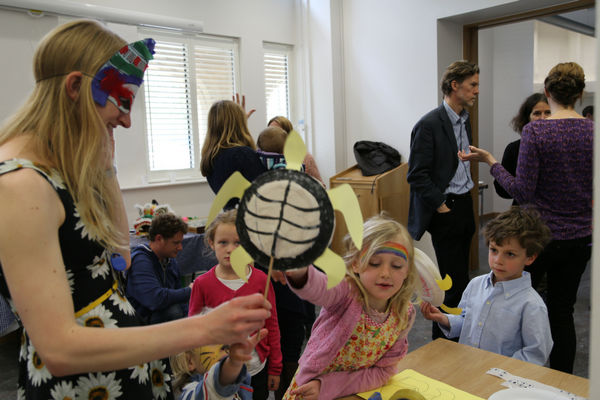 Who can do the family Discover Arts Award at Oxford University Museums? 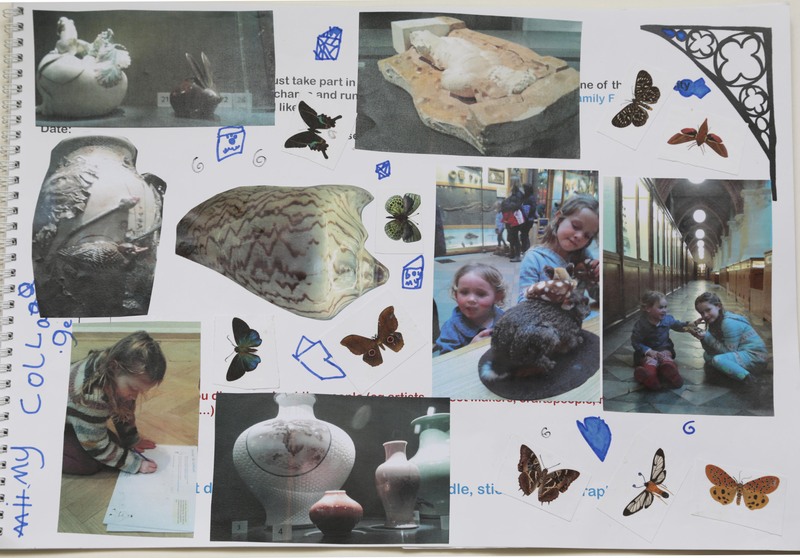 The Discover the Oxford University Museums and Collections logbook is aimed at children between the ages of 5 and 11. 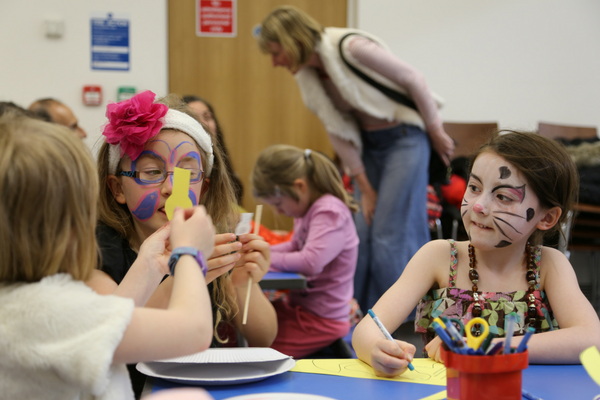 Children must be aged 5 and over to complete a Discover Arts Award. 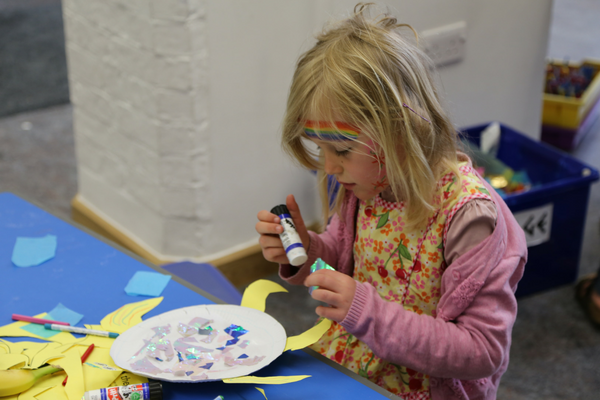 We are unable to process any Discover Arts Awards for children under 5 years of age. 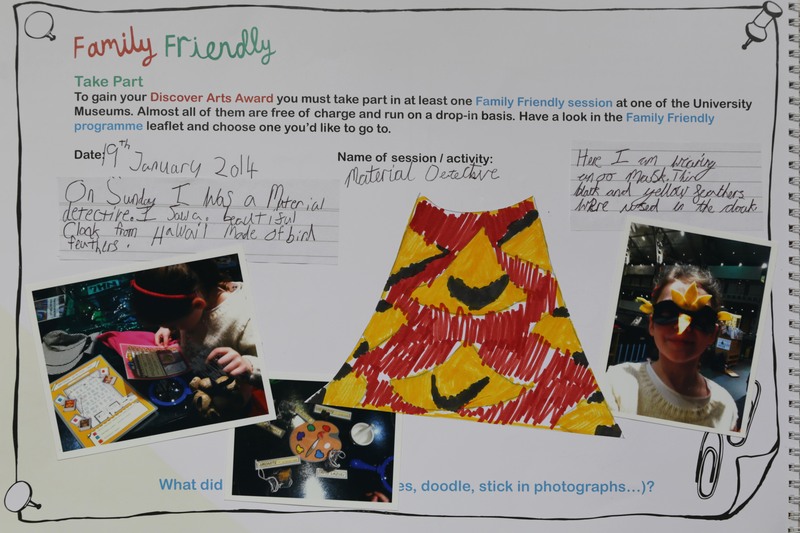 What do we need to do to complete our family Discover Arts Award? You will need to make at least one visit to each of the four museums: the Ashmolean Museum, the Museum of the History of Science, the Museum of Natural History, and the Pitt Rivers Museum. You will need to complete the logbook pages that refer to each of the museums. 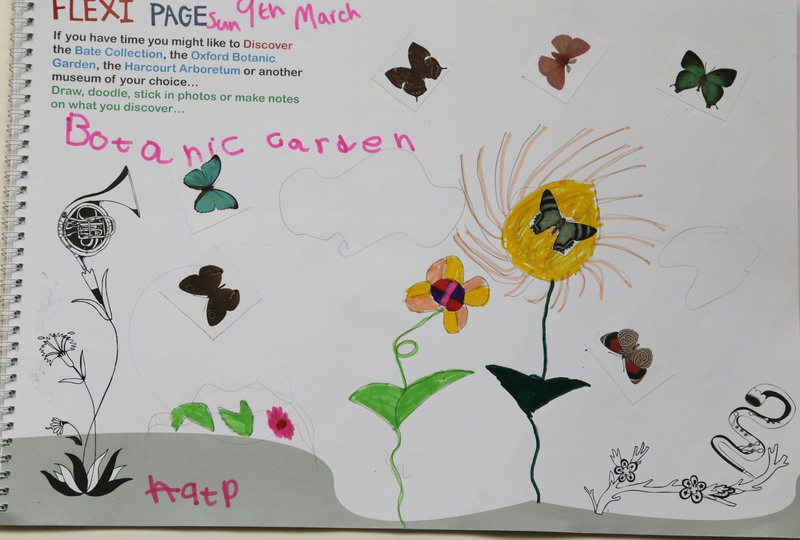 The pages contain creative and fun tasks to help you discover artists, art forms and objects at each museum. Parents and carers can help children with any writing required. 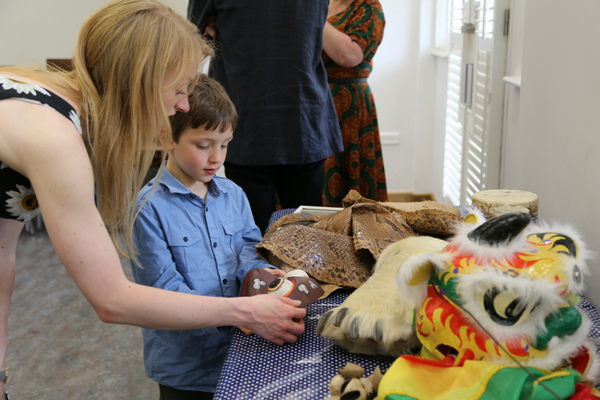 In addition to visiting each museum, children need to attend at least one Family Friendly Fun session and record the activity they took part in. There is space to record up to three sessions in the logbook. 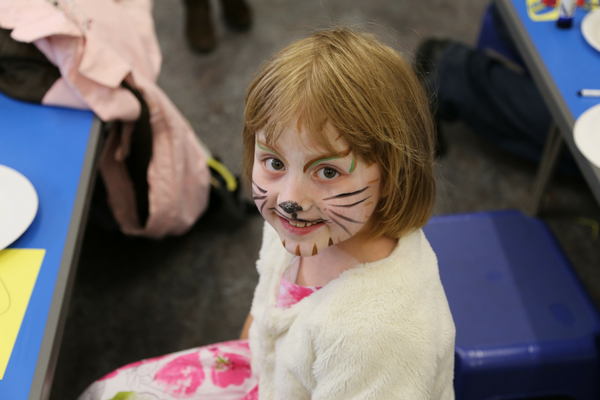 Family Friendly Fun sessions take place every weekend and during school holidays - almost all of them are free of charge. For more information please see: www.glam.ox.ac.uk/families. 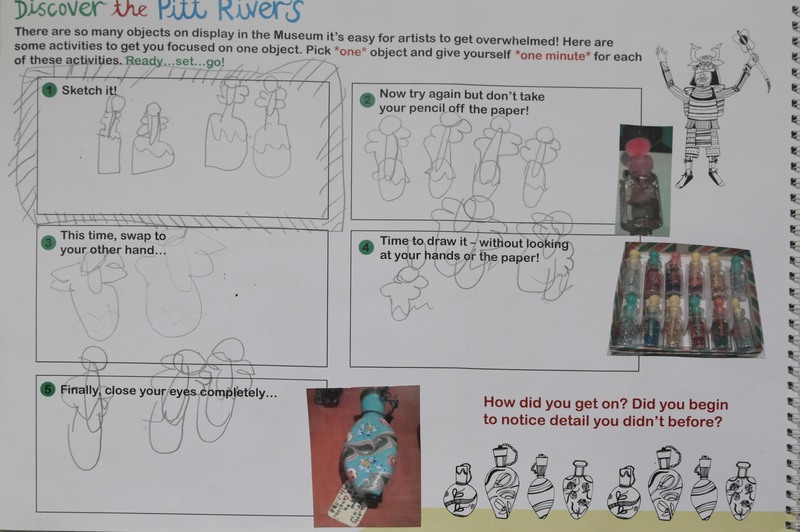 At the end of the logbook on page 16 there is space for children to share their learning and experiences - this is a key element of Discover Arts Award. Sharing can be done with other family members, friends, in show-and-tell at school or at a club such as Brownies or Wood Craft Folk. Adults can help with any writing required. 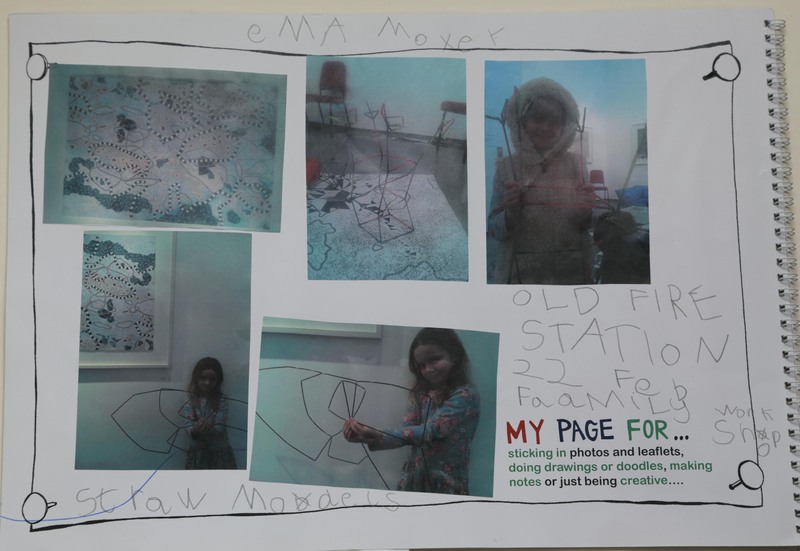 In addition to the lovely creative work children do in their logbooks, it is also fantastic to have photographs of children on their museum visits or undertaking creative tasks. We encourage you to take photos whilst completing the log book and to stick them in the logbooks. 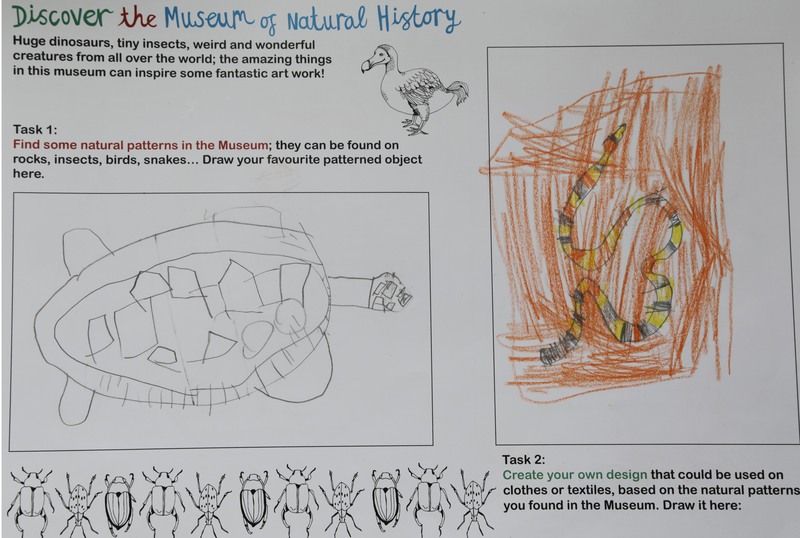 When the museums are busy, it is handy to bring a camera to take photos of any objects children are interested in so that some of the logbook work can be done at home. 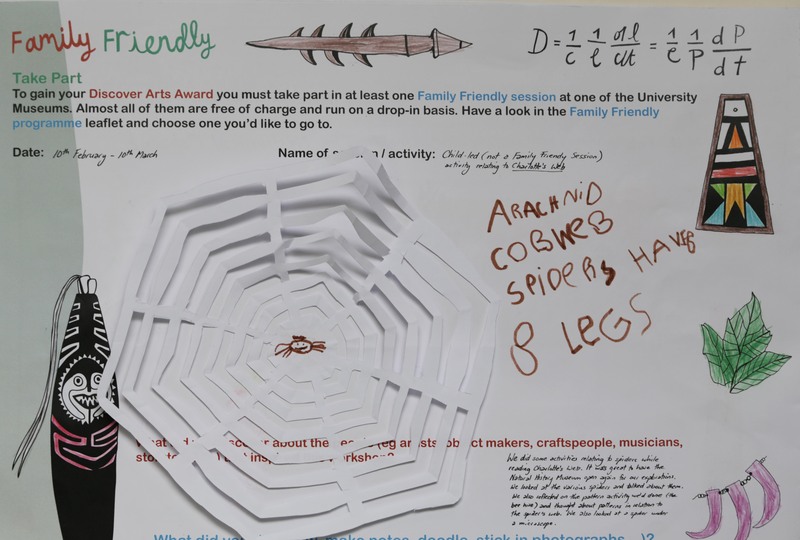 How long will the Family Discover Arts Award take? 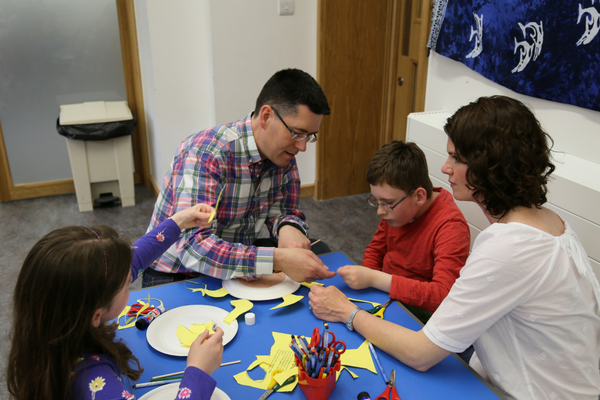 How long you spend doing your Discover Arts Award is up to you as a family. 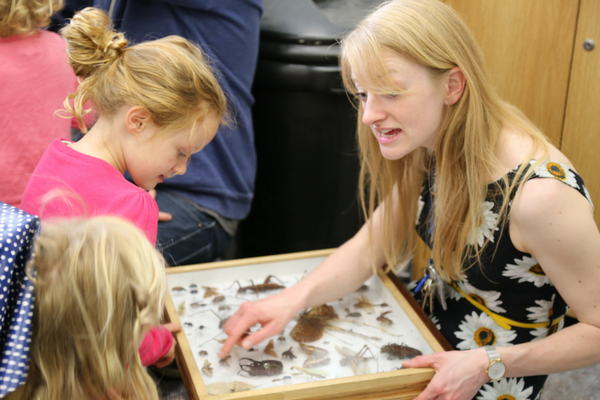 You will need to make four museum visits and attend one Family Friendly Fun session. Some famiies may want to work really intensively and complete the logbook in a week - say in a half-term holiday. 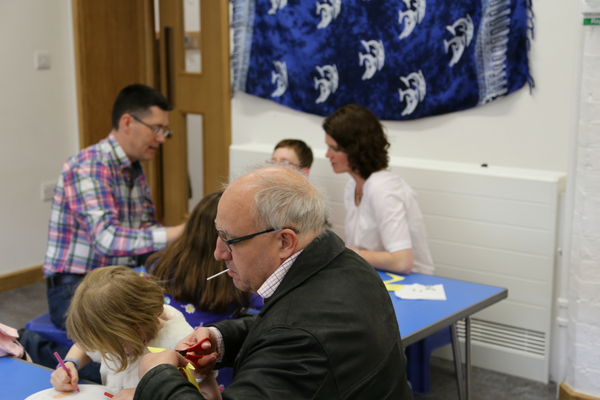 Other families may want to dip in and out throughout the year, spending 6-12 months to complete their logbooks. 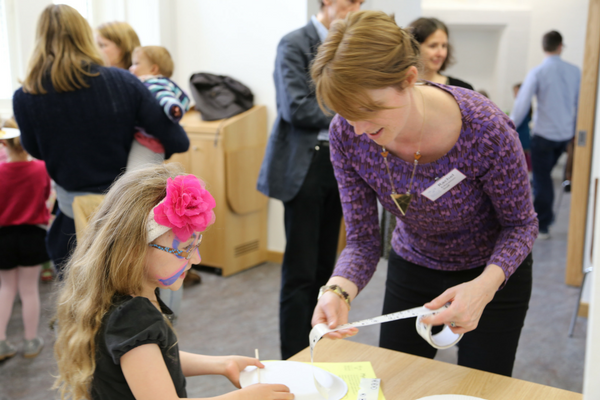 We anticipate that most families will spend between 3-6 months completing their logbooks. How can we purchase the logbook and how much will it cost? 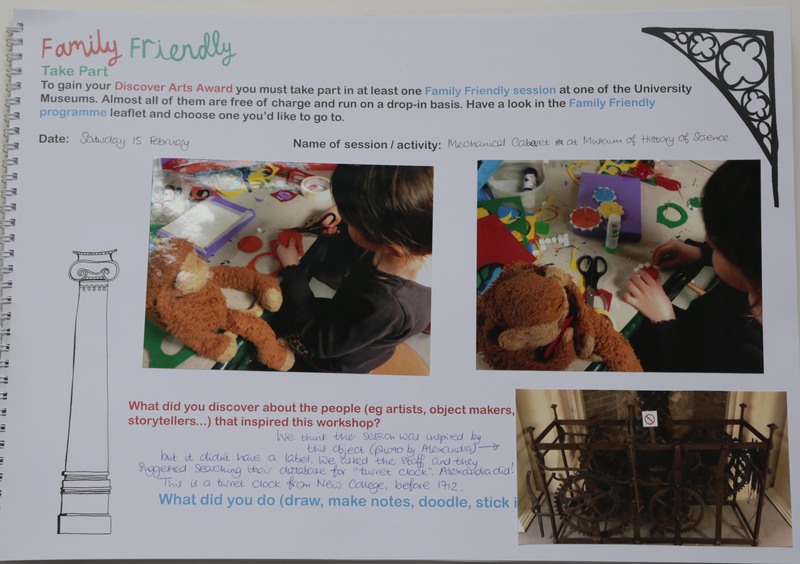 The logbook costs £7.50, which includes the cost of the Discover Arts Award certificate. It is available to purchase online only. Once you have completed your transaction then please print out your order form and bring it to the Welcome Desk in the Museum of Natural History. Please hand your printed receipt to the Welcome Desk staff and they will give you your logbook and you can get started straight away. 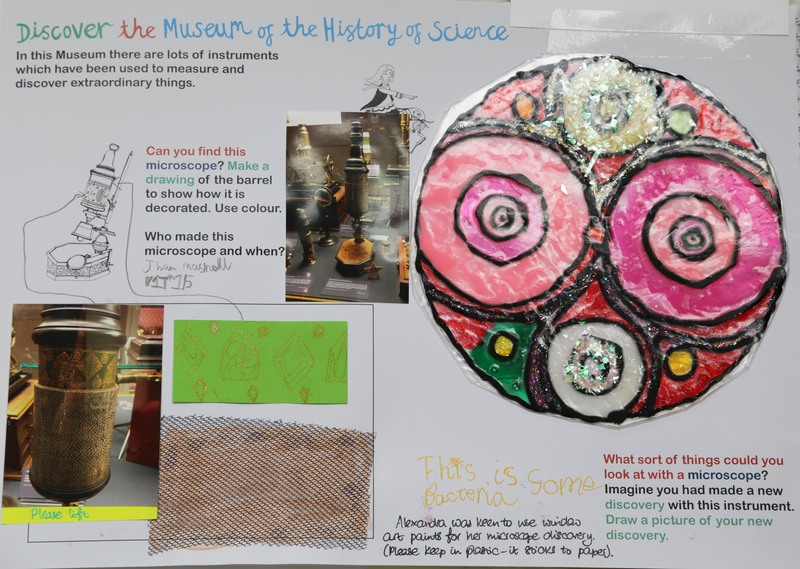 What art materials can we use whilst in the museums? Please bring your own art materials with you to the museums. There are some guidelines about what materials you can use in the museums and about photography. 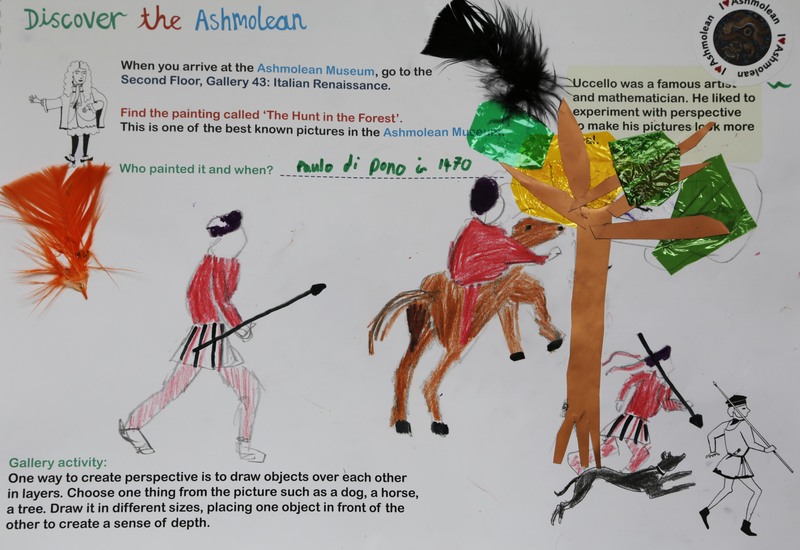 Ashmolean - Any art materials can be used except wet materials (e.g. paint) and charcoal. No flash photography. No tripods. Pitt Rivers - Any art materials can be used except wet materials (e.g. paint) and charcoal. Flash photography is permitted. No tripods. Museum of Natural History - Only graphite can be used. Flash photography is permitted. No tripods. Museum of the History of Science - Any art materials can be used except wet materials (e.g. paint) and charcoal. No flash photography. No tripods. 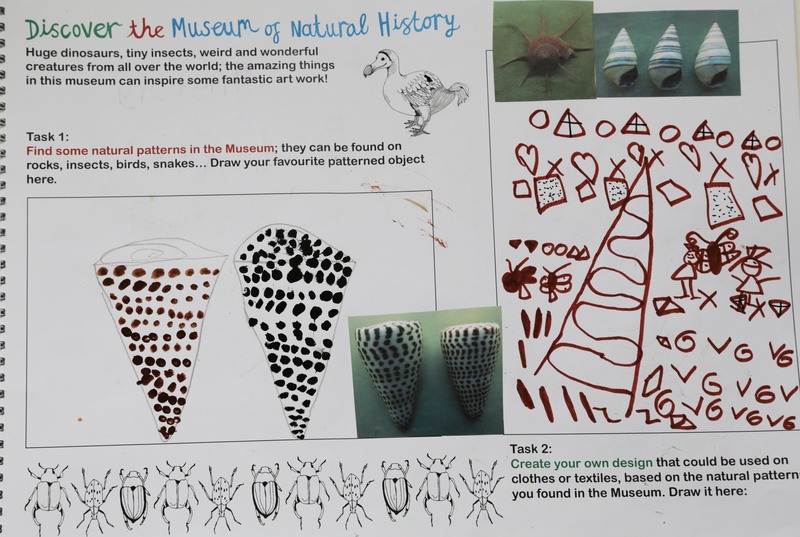 If you wish to work on some of your pages using paint or other materials not permitted in the museum, please use pencil or other permitted materials whilst at the museum(s) and then complete these logbook pages at home. 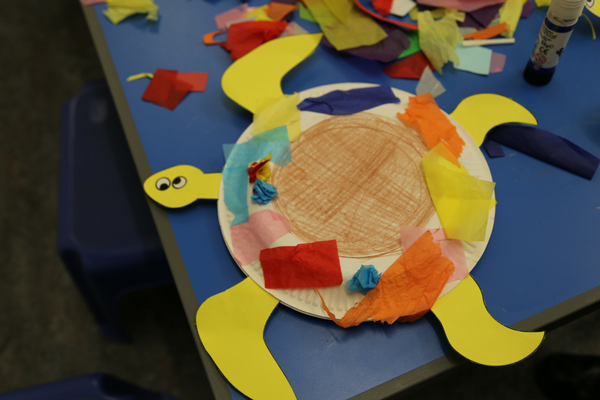 Materials for Family Friendly sessions are provided at each museum and you are able to use these materials for the sessions within the designated areas. What should we do when we have completed the log book? When you think you have completed your logbook, please read through the checklist on page 1 and ensure that you have completed each of the sections listed. Please also make sure that you have completed the information requested on page 16 of the logbook: your child's name (as you would like it to appear on the certificate), your child's date of birth information, and a contact email. We will not be able to process your logbook without this information. Put your logbook in a sturdy envelope or folder and address it to Rachel Parle. Please hand your logbook in at the Welcome Desk at the Museum of Natural History. You will be given a receipt to show that we are looking after the logbook whilst it is being assessed. How long will it take to have the logbook assessed and for certificates to arrive? We aim to assess all logbooks as soon as possible after a hand-in date. 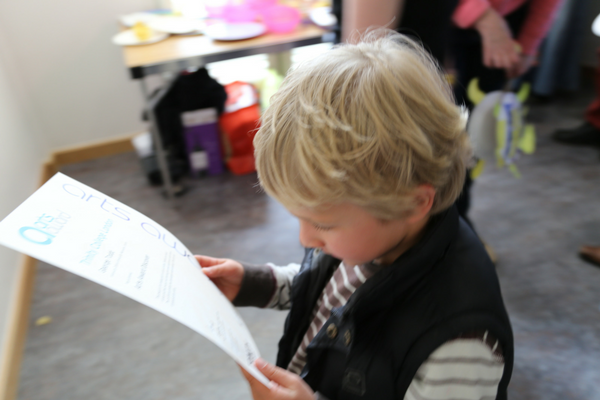 Certificates are ordered from and printed by Arts Award and this can take up to 8 weeks at busy times. We will do our best to try and make this process as speedy as possible. How will we know when to come and collect our certificates? You will receive an email saying that your certificate and logbook are ready for collection. Please come to the Welcome Desk at the Museum of Natural History. We request that all logbooks are collected within one month of receiving the collection email. Will the logbooks be returned to us? Your logbook will be returned to you to keep forever when you come and collect your certificate. How can we get help if we have a query while completing our logbook? 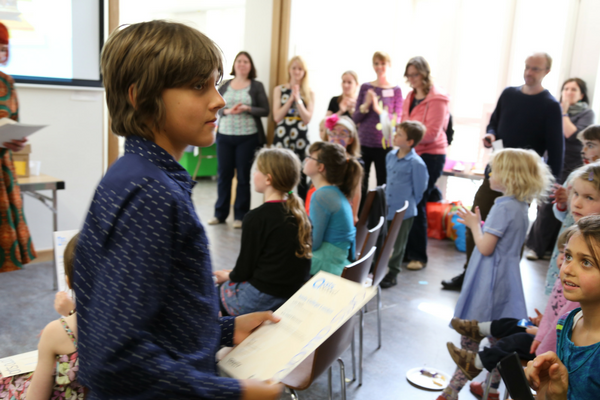 If you have a query about completing your logbook then please email artsawardfamily@mhs.ox.ac.uk. This email address is checked regularly and you should be able to get help and advice quickly. Where can we find out more information about Arts Award in general? 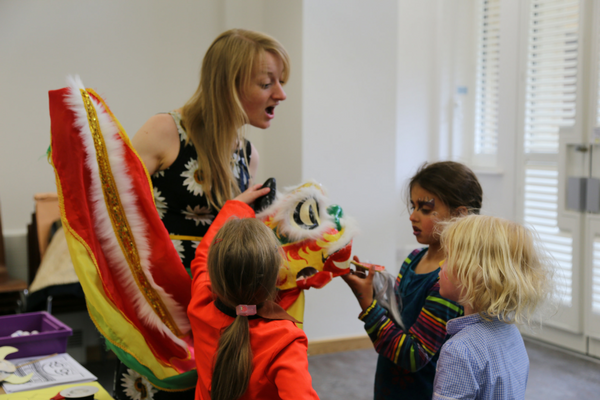 Arts Award is a nationally recognised qualification to inspire young people between the ages of 5 and 25 years old to develop their arts skills. For more information please see: www.artsaward.org.uk. The below Arts Award case studies are a small selection of the activity that has taken place since 2013. For more information, please contact Miranda Millward, Arts Award Coordinator at Oxford University Museums: miranda.millward@mhs.ox.ac.uk.